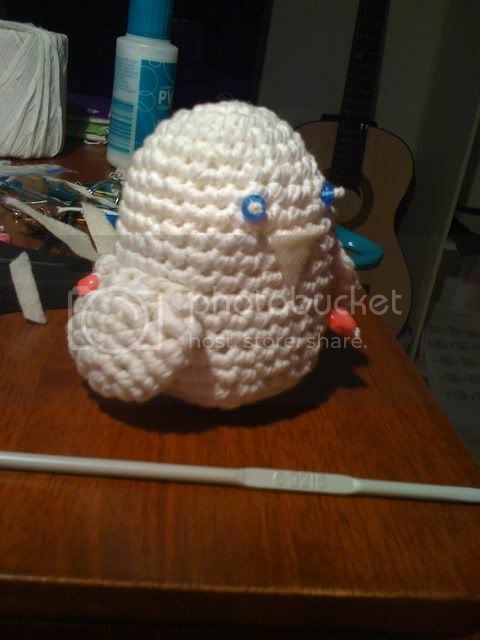 Today I suddenly felt like learning to crochet things other than misshapen squares, so I learnt how to read a crochet pattern, how to do a magic ring (I'll put in a link in the morning) and after a few or more false starts I made a love bird! If I don't call it a love bird it looks more like a snow-bird or an albino, and lets face it: love bird sounds far better... 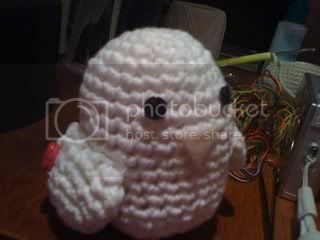 I'm pretty happy with it, I finally managed to get the initial stitches right, and I counted it properly! Next time I'll try something in better colours so I don't seem to be making an egg cosy with handles. 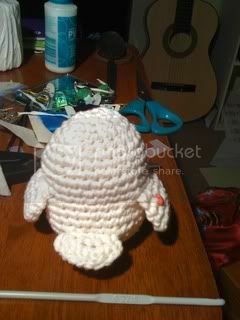 Magic Ring crochet wizardry: Planet June - Left handed AND right handed instructions!